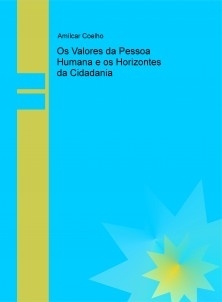 The present thesis with the heading Os horizontes da cidadania e os valores da pessoa (Horizons of the citizenship and the values of the person), attempts to clarify the relation between being citizen and being person in a global world characterized for vast mutations and deep changes not only in the material culture but also in the spiritual culture, passing through society and by the man in its diverse forms of existence and expression. One cannot understand the urgency of the citizens current condition without questioning the obscure side of citizenship that has to do with values crisis and the anomie of citizenship institutions. A persons existence exceeds and integrates the simply instrumental reducer standard of the citizen. The citizens significant experience as a person is the decisive point of this study, whose fundamental conclusion shows that is the injustice situations intolerable and scandalous character that obliges to the consideration of the man as an end in itself and not simply as a power relations object.